Planned Parenthood Abortion CEO Jill June helped Hillary Clinton open her campaign office in Iowa, encouraging attendees of the opening to vote for Clinton. Clinton’s notable pitch this year for her pro-abortion (unborn baby murdering) audience was, “Far too many women are still denied critical access to reproductive healthcare and safe childbirth (what she means here is the murder of unborn babies and the murder of late term unborn babies)…and deep seated cultural codes, RELIGIOUS BELIEFS and structural biases HAVE TO BE CHANGED” (emphasis added). If the proabortion (unborn baby murdering), eugenicist, depopulation, globalist Bilderbergs don’t put Hillary Clinton in office after Obama, it may be that George Soros’s voting machines have been seriously hacked and their media muppets all went on vacation! One of the reasons the Bilderbergers placed Barack Hussein Obama in office is because he is a Socialist-Liberal-Progressive, member of the Socialist New Party and staunch supporter of abortion (murder of unborn babies). The US House of Representatives passed the federal Pain-Capable Unborn Child Protection Act, which came on the second anniversary of Kermit Gosnell’s murder conviction, but the Act still has to pass the Senate. After that, Obama has already threatened to veto the Act, even if it passes the Senate. The Act bans abortion after 20 weeks, at which point medical science has proven unborn babies can feel the pain and horror of being ripped apart in their mother’s womb! This same bill didn’t pass the Senate in 2013. Why? Let’s cut to the chase – the Bilderbergers (eugenicists and globalists), quite frankly, don’t care if unborn babies can feel the pain and horror of being torn apart, limb from limb, or crushed with forceps in their mothers’ wombs (which is why they attend the ‘Cremation of Care’ every year); they want as many babies dead as possible. According to their tenets (Georgia Guidestones), the world is already about 93 percent overpopulated, which means they want over six billion people dead! 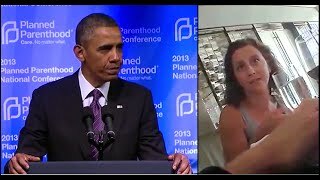 Obama calls this Act to protect unborns “disgraceful.” He believes it is totally disgraceful that anyone should want to STOP the pain and horror of how these late term unborn babies are slaughtered! “The vile person shall no more be called liberal (they call themselves Progressives now), nor the churl said to be bountiful, for the vile person will speak villainy and his heart will work iniquity, to practice hypocrisy, and to utter error against the Lord, to make empty the soul of the hungry, and he will cause the drink of the thirsty to fail. The instruments of the churl are evil; he devises wicked devices to destroy the poor with lying words, even when needy speak right; but the liberal devises liberal things and by liberal things shall he stand” Isaiah 32:5-8. *While people are homeless and jobless in America, Barack Hussein Obama has immigrated hundreds of thousands of people, especially Muslims from the Middle East, many of whom are likely to be terrorists, into the US. Obama also has an open border policy, which facilitates Islamic State (IS-ISIS) terrorists who are already in Mexico. 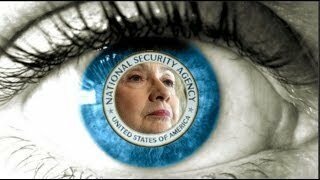 Is this not indicative of the Socialist-Liberal-Progressive movement Isaiah prophesied about? 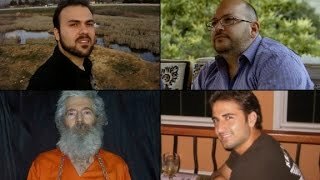 Four Americans, Christian Pastor Saeed Abedini, Washington Post journalist Jason Rezaian, private investigator Robert Levinson, and decorated former Marine Sergeant Amir Hekmati are still being held and persecuted without cause in Iran’s prisons, although Levinson may have been killed by Iranians. A senior Obama administration official said concerning the detained Americans, “Secretary Kerry and myself, both separately and together, have had more than one conversation during the course these – this negotiating round,” reported PJMedia.com. “More than one conversation?” That doesn’t sound like a very fervent appeal for our American citizens! Iran needed their heavy sanctions lifted, they certainly wanted the billions of dollars the US was ready to release upon making a deal, and they most definitely want to continue their nuclear arsenal production unhindered under the guise of a “ nuke deal;” but what did America need? Americans received nothing, not even our hostages! What does this tell us about the caliber of the person living in the White House? Obama doesn’t care about America’s safety, nor the safety of Israel. He does care about furthering Islam throughout the world, by initially transforming America into a Socialist regime. Hillary Clinton will be no better, as the Clinton Foundation rakes in Arab money, not to even mention the fact that she is a radical Socialist Saul Alinsky groupie. “The vile person shall no more be called liberal (that’s right, they call themselves Progressives now), nor the churl said to be bountiful (megarich); for the vile person will speak villainy and his heart will work iniquity, to practice hypocrisy (such as in saying one is a Christian, when actually a Muslim, such as hiding one’s membership in the Socialist New Party to run for president as a Democrat, and coming up with a fraudulent birth certificate to hide one’s alien status) and to utter error against the Lord, to make empty the soul of the hungry and he will cause the drink of the thirsty to fail” Isaiah 32:5-6. This “deal” Obama made with Iran, without getting our American hostages out of Iran, was another swift kick in the faces of all Americans by Barack Hussein Obama!